Winnebago Industries Inc., a leading U.S. manufacturer of recreation vehicles, is debuting three new and exciting products at BusCon Expo 2013 to be held in Chicago September 10 to 11, 2013. Metro Link models to be unveiled include a public transit, airport, and a CNG version, which may be used as a shuttle for various applications. Metro Link’s advanced designs include numerous patent pending features specifically tailored to provide a much quieter, better functioning vehicle with reduced maintenance and improved durability. The vehicle features a one-piece fiberglass roof, a fully welded, tubular steel framework, high-gloss fiberglass sidewalls and exclusive frameless windows that offer exceptional performance and reduced long-term maintenance. Metro Link is backed with an industry leading 7-year/150,000-mile structural warranty. 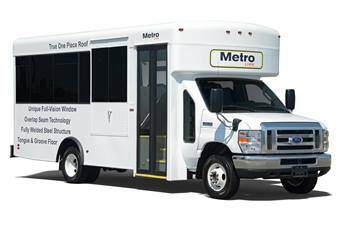 On the inside, the Metro Link offers fiberglass interior walls and a 78-inch center aisle height and is available in a number of passenger configurations, which make the Metro Link highly customizable to meet the wide ranging needs of the transit and paratransit industry. 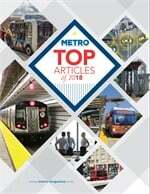 Distribution of the new Metro Link will be conducted by Metro Worldwide, a division of the Pritchard Family Companies. In business for over a century, Pritchard has had a working relationship with Winnebago Industries for over 25 years. Pritchard has a national presence in the distribution of commercial trucks where they have distinguished themselves as a leader in both volume and customer service.